The entertaining Just Sport calendar takes a fun look at sporting life. 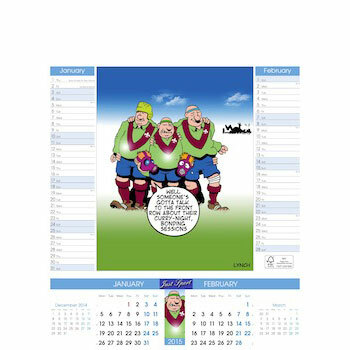 This 6 leaf, 2 month per page, date and memo calendar will display your logo in a prominent position bringing a smile to your customers face every time they look at it. Contact us directly for printing and design options.